Be Prepared the china deal getting close. Maybe the meeting today between Trump and Chinas Vice Premier today will be a market mover, be ready. 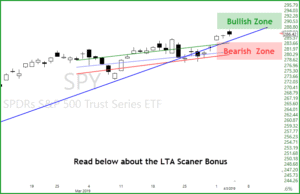 Six lower highs for the SPY, price action above the trend line, V-Stop is green, Price action is above a three T-Bands, almost seem to goo to be true. Price action did tag the $287 number that I spoke of a few days ago. The next number will be $291 if the bulls can hold together. Yesterday’s candle is not what we wanted to see and a weak close could bring the bears back out. Pay attention to price action. Hey, are you looking for the best money making tool in trading? Well, I found it and use it!! 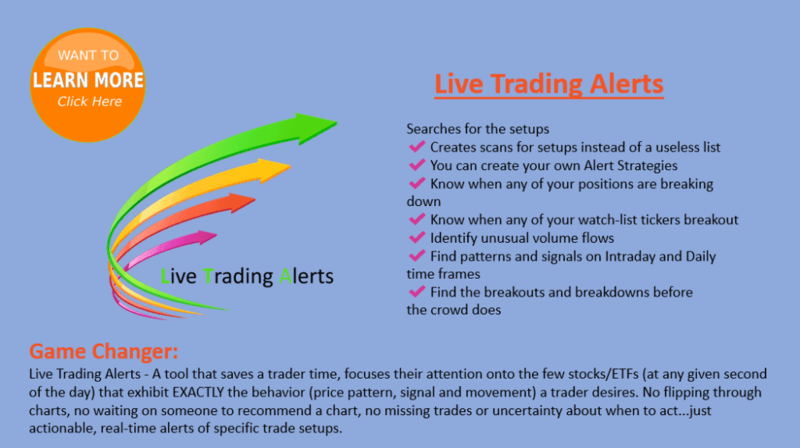 The Live Trading Alerts Scanner. I have about four terrific scans. Get it downloaded and I will be glad to work with you privately to get it set up.